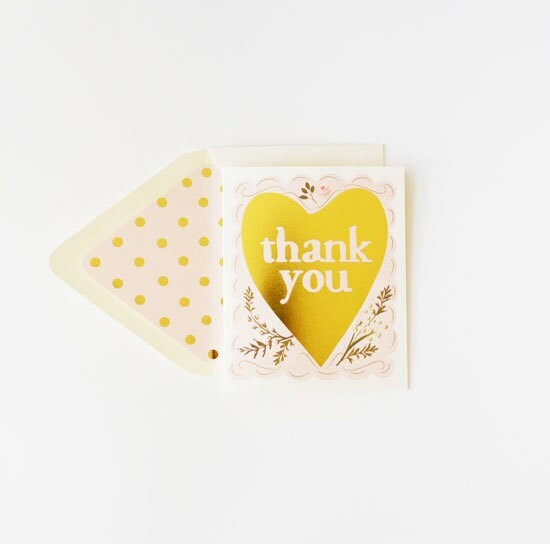 Say it with this great "Thank You" card that features a solid gold foil heart with blush accents. Tons of sweetness in this one! Soft blush florals embellishing this solid gold foil heart in a painted blush scalloped edge with "thank you".